Leather is a bi-product of the meat industry. No cow is killed for its hide. Linny, an animal lover and vegetarian, is careful to choose hides with brands from free-ranging cows. It is her hope to honor the animal's life by creating something that is of meaning and has undergone many hours of meticulous craftsmanship, bringing to life something that will be loved and cherished for years to come. The meat industry isn’t going anywhere and hides are a result of that, but it’s our job to care about how those cows were treated and also how the leather is processed. It is important to Linny to offer a leather product that is free of toxic chemicals. These clean, full grain, premium leather hides are of the utmost highest quality and beauty the leather industry has to offer and you can feel good about wearing it. Her natural hides have undergone the ancient and timely craft of vegetable tanning which uses woods, barks, fruits, fruit pods and leaves. Many leathers are tanned using toxic chemicals (chrome tanned) that are harmful to the environment leaving behind a non-biodegradable sludge. 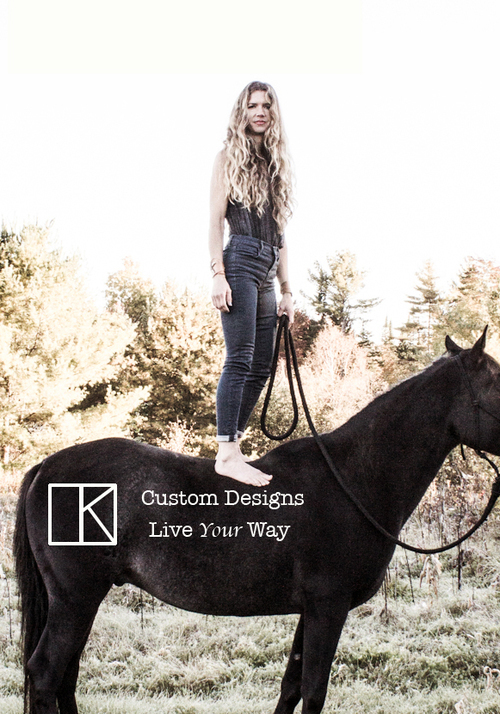 Linny Kenney Leather products are made with love and consideration for the world we live in. Her pieces are individually stained with eco-friendly dyes using a technique she learned from "Chief Talking Beard" who ran a leather shop in the 1960's. Thanks for caring with us.